Video Auditions Due April 16 for Summer 2019! The Washington School of Ballet provides a safe, nurturing environment enabling each student to explore their technical and artistic capabilities. Our mission is to inspire the next generation of young dancers to grow and expand to their full potential. The Washington School of Ballet’s Summer Intensive under the direction of Xiomara Reyes, Head of School, gives students from around the world the opportunity to study with our acclaimed full year faculty including members of The Washington Ballet Company artistic staff and Artistic Director Julie Kent. Men’s division classes are led by Rinat Imaev, Rolando Sarabia, and Mimmo Miccolis. The Summer Intensive offers a five-week course for The Upper Division. Learn more about TWSB leadership and faculty. Classes include: classical ballet technique, pointe work, variations, pas de deux, men’s technique, flamenco, character, jazz, contemporary, pilates, and student choreography. The Washington School of Ballet provides a housing option for Summer Intensive students at American University, just a mile away. It is not required that students live at the dorm, although it is highly recommended due to the rich experience of cultural excursions, outings and the companionship of peers from around the world. Students must be age 13 by the start of the program in order to reside at American University dormitories. 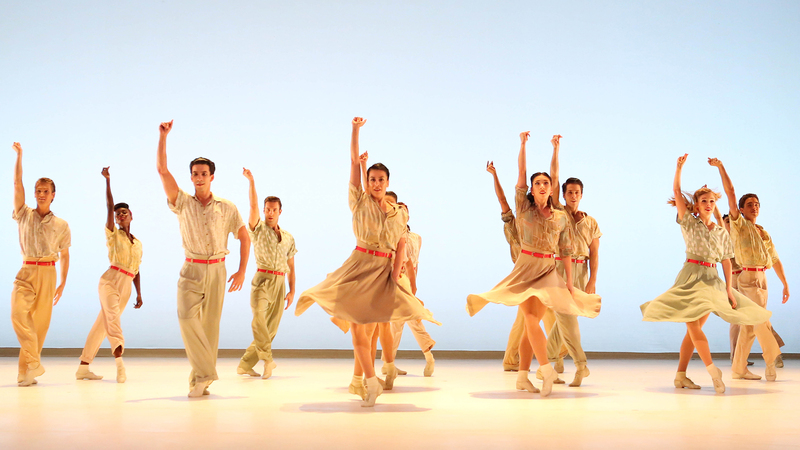 Students are guided by our talented chaperones (21 or older) who are all current or previous professional dancers. As a part of the Summer Intensive, students will have the opportunity to learn repertoire and be a part of a culminating performance in the fifth week, which will highlight each level’s accomplishments. Levels are not determined at the time of audition; all attending students will have placement classes on the first day of the program. While the classes will be arranged by age, placement is based on technical ability and appropriate strength for syllabus material. Students are accepted into The Washington School of Ballet’s Summer Intensive by audition only. Audition classes will take place in various cities. These auditions are meant for students ages 13-22 (all students must be no younger than 13 by the start of the program. We will consider students who are 11-12 years old (ladies with one year of pointe), however, we are not able to provide housing to students this age. Audition tour requirements: completed online audition registration, two photographs (headshot and first arabesque). For more information please contact Donna Glover, Director of School Operations. Auditions for the Lower Division (ages 6 to 12) will be conducted by February 23 and can be scheduled as early as February 2018. Please email Alexandra Schools to schedule an appointment. In addition, students ages 10 to 12 who have begun pointe work can do an in-class audition by appointment. Please email Pamela Bjerknes to schedule an appointment. For information regarding the Lower Division, a four week program for ages 6-12, please contact Alexandra Schools. Students currently enrolled in The Washington School of Ballet’s School year DO NOT need to audition for the summer intensive. Please check your parent portal for registration. All students will continue in their current level for the summer intensive. Under the supervision of Kristina Windom, Head of Faculty, the Two-Week Summer Intensive focuses on classical training with an emphasis on proper execution and precision. The goal of each instructor is to introduce new pathways of learning that offer more options for the individual student. Every student learns at a different pace and has a different body; there are different ways to achieve the required outcome for a work of choreography. Each morning will begin with body conditioning, working towards proper alignment, coordination, and kinetic ability. Students may audition in person (check audition touring schedule) at regional auditions or submit a video audition on our online audition registration site. The video audition deadline for the Two-Week Summer Intensive is the first week of July. All students must pre-register first if attending/auditioning in person for the Two-Week Summer Intensive. *Girls must have at least two years of pointe experience. For enrollment and more information, please call 202.362.3606 x157 or email Kristy Windom and in the subject line please, include “Two-Week Summer Intensive”. What is the difference between all of the summer intensive programs you offer? 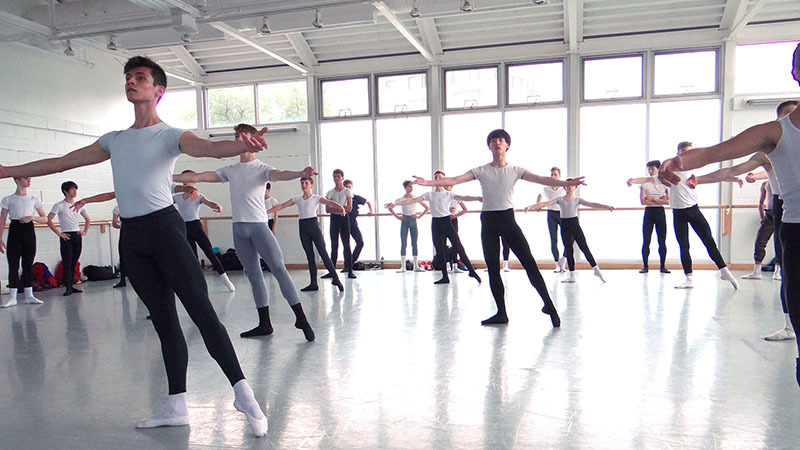 The Washington School of Ballet (TWSB) offers a five-week intensive (June 24 – July 26, 2019). The five-week intensive focuses on various components of ballet technique with different dance styles to complement training (such as flamenco and/or contemporary). In addition, there is a cumulative performance at the end of the five-week intensive. TWSB also offers a four-week lower level intensive (June 24- July 19, 2019) for ages 6-10. This particular intensive gives the younger student an extra leg up on their ballet technique when returning to dance in the fall. It focuses on correct ballet placement and strength along with introducing alternative dance styles such as jazz and character. There is also a two-week Intensive (July 29-August 9, 2019) for the intermediate dancer ages 14 to 19, with no emphasis on performing – allowing the student to focus on correct ballet technique in a nurturing environment. Do I have to audition for these Intensives? Students must audition for the five-week Intensive by attending one of our audition classes (please view the NW 2019 Audition Tour tab for cities and dates) or via video submission (please view the NW Summer Audition tab for details). Auditions for the two-week Intermediate Summer Intensive requires audition in person at one of the audition tour cities or by video submission. The two-week Intermediate Intensive student must have at least three years of ballet training and ladies must have two years of pointe technique. Does TWSB offer housing for each Intensive? Housing accommodations are offered for the five-week intensive only and students accepted into the program must be 13 years old by June 24, 2019. We are happy to suggest places to stay in the area if you are interested in the two-week intensive but we do not offer this housing option. How do students travel to and from the dorms? American University provides a shuttle from the entrance of Centennial Hall to Wisconsin Ave. Students then travel by public bus for one mile down Wisconsin Ave to TWSB. Students must always travel in groups of three or more and are checked in and out by our chaperones. Does housing include a meal plan? No. The neighborhood around the dorms and the school offer so many dining options that our students choose not to limit themselves to the meal plan offered by AU (which is non-refundable). Most students select daily meals from Whole Foods at the shuttle stop. Are there chaperones at the dorms? Yes. Approximately one chaperone for every 12 students, each is over 21 and has professional dance experience. Our chaperones help us provide a safe experience and can offer dance guidance. Only the two-week Intensive offers a week-by-week work schedule. You may register for one or two weeks of the intermediate intensive but students must sign up for the full five- or four-week program if they choose this training option. Do parents have an opportunity to view class or watch a performance at the end of each respective summer program? The five- and four-week Intensives offer a cumulative performance at TWSB’s main campus for parents at the end of the intensive. The two-week Intensive offers Friday Parent Observation Days, allowing the parents access to watch throughout the students’ day. The Washington School of Ballet’s SE campus offers an advanced and technically challenging summer intensive for invested dancers who would like to strengthen their ballet skills and explore other dance genres. The program is a fast-paced, four-week intensive which operates from 9AM–4:30PM daily, Monday through Friday and includes breakfast and lunch. Three levels of The Washington School of Ballet syllabus are offered during the day program: Level 2, Level 3, and Levels 4 and 5. Classes include ballet technique, pointe, variations, repertory, musical theater jazz, modern, and flamenco. All levels will have body conditioning classes to increase both strength and flexibility for dance. In addition to comprehensive technical training, students will explore creating through composition classes that are mentored by The Washington School of Ballet faculty. The dancers will also have the unique opportunity to study other Art disciplines with THEARC partners: Levine Music and ArtReach, gardening, nutrition, and food preparation with THEARC Farm and DC Central Kitchen. A limited number of before and after-care slots are available to The Washington School of Ballet SE Campus students in partnership with the Boys and Girls Club at THEARC. Students may be dropped off as early as 7:00AM and picked up by 6:00PM. Pre-ballet 1, 2, and 3 take the young dancers aged 4 – 7 through introductory ballet steps, creative movement, and flexibility and strength training to prepare them for future study. Level 1 Foundation is an introductory ballet class for ages 8-10 that enables dancers with little to no experience to train in foundational classical ballet technique. Level 1A provides young dancers with prior experience a strong base in ballet technique and builds on the pre-ballet curriculum with more complex technique, coordination, and motor skill development. Level 1B continues to develop a classical ballet foundation with more repetitive work and complexity to build strength. Teen Ballet A is designed for students with limited or no prior experience. Course study includes both ballet and body conditioning to build a strong base of technique. Teen Ballet B takes student’s ballet technique further with increased frequency of classes and level of difficulty. Students in Teen B add body conditioning and the contemporary genres of dance with twice weekly classes in both jazz and modern. Auditions take place during regularly scheduled classes. Teachers will evaluate prospective students and place them in the summer day or evening programs. Placement in TWSB SE summer dance intensive is based upon the instructor’s discretion. For students aged 4 & up, audition weeks are: February 3, March 24, May 25, and June 15. A non-refundable audition fee of $20 prior to April 1 and $40 after April 1 is due at the time of the audition. All students must come dressed in ballet attire and girls must have their hair in a bun. To schedule an audition, please contact TWSB SE at 202.889.8150. TWSB SE uses a sliding fee scale based on household income and family size to determine tuition. The SE Summer Program tuition deadline is Friday, June 21, 2019. Payment arrangements are available. To receive tuition quotes please contact TWSB SE at 202.889.8150. Faculty Members: Margaret Williamson, Shawna Williams, Robbin Tasha-Ford, Jennifer Buchanan, April Lawyer, Lori Clark, Ralph Glenmore, Christy Bartholomew, Alice Howes, and special guests. Kelsey Arrington, School Manager, at 202.889.8150 x236 or karrington@washingtonballet.org. The cost for the Summer Dance Program is based on seven payment groups ranging from $150-$1650 per child. Payment plans are available. A non-refundable fee is due at the time of audition. There will be a culminating event on the last day of the intensive. Students of all levels will perform. Parents and guardians are invited to attend this showing. When do I pick up my child? Please make arrangements to pick up your child by 3:30PM each day. Only parents or designated adults are allowed to sign-out their children. A 15-minute grace period is allowed; parents will be charged $1 per minute past the grace period. Is there an option for before and after care? The Boys and Girls Club offers a limited number of discounted slots for families interested in before and after care. If interested, contact The Boys and Girls Club at 202.610.9707. Children may be at the facility as early as 7AM for before care, and from 3-6PM for after care. Boys: White leotard, grey tights, white socks, and ballet slippers. Students are also required to purchase a black leotard, black jazz pants and black jazz shoes (no jazz sneakers). Students taking African dance will be required to purchase a Lappa. 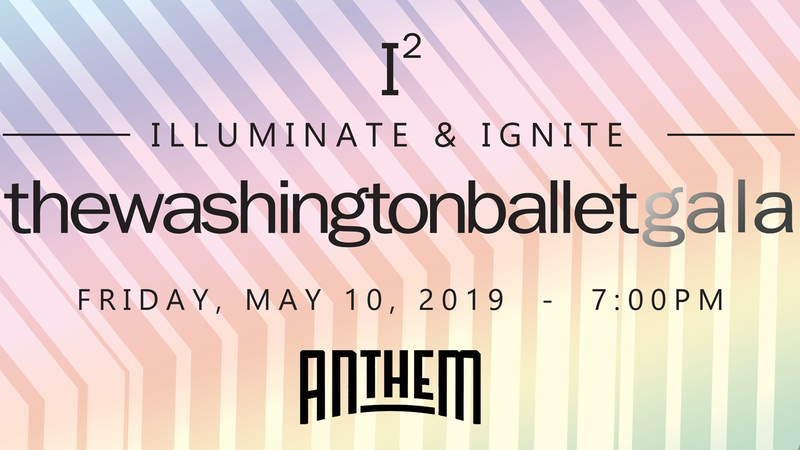 For more information, email kwindom@washingtonballet.org. Register for Video Auditions on the online registration portal. Submit the $40 registration fee. Email your audition video to Donna Glover. The deadline for video submissions is April 16, 2019. Introduction: name, age, years and place of study. Only one side of combinations at the barre and include: plies, battement tendu, adagio, grand battement. In center (ladies on pointe) adagio, pirouettes en dehors and dedans, petit allegro, grand allegro and a variation of choice. Gentlemen include tour en l’air (single or double depending on your age and ability level) and allegro that includes beats and grand pirouettes. No experience is expected for ages 4-6. Evaluations for the youngest participants will be made on physical ability, coordination and musicality by a team of faculty members. Boys should wear black tights, a white t-shirt and black or white shoes. *However, if your child has never danced before, he/she may wear form fitting clothing for the audition. It is important that our faculty be able to evaluate physical proportions. Please remove all jewelry and be certain that the student’s hair is pulled away from his/her face and secured, preferably in a bun for girls. Contact 202.889.8150 to schedule an audition.